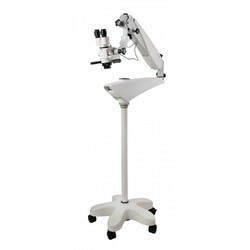 WESWOX ENT Surgical Microscope 3-Step Magnification is commonly used by the ENT surgeon for surgical dealings, this results in very clear cut result of the surgery. Here, the Surgical Microscope Cold Light facilitates ENT checkup and General Surgery with all flexible adjustments. 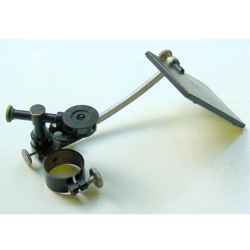 We are one of the leading manufacturer and suppliers of microscope accessories engaged in offering our clients with WESWOX Mirror Type Lucida (Mirror Type ). We are engaged in providing WESWOX Camera Lucida (Wrism Type). Fitted with Finest Prism. Lehman optical glass Prism, specially designed hangs over the eyepiece tube for the microscope, the pencil on the graph is visible moving on the image the specimen in the microscope and hence the image drawn on the graph is very compact in design.